Chat to our industry professionals for a quote and advice on how to make your interior ideas a reality. 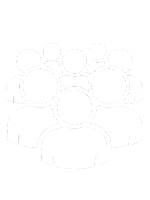 We partner with leading furniture hardware suppliers to ensure cutting edge technology in terms of hardware, but also the peace of mind of quality and product backup. 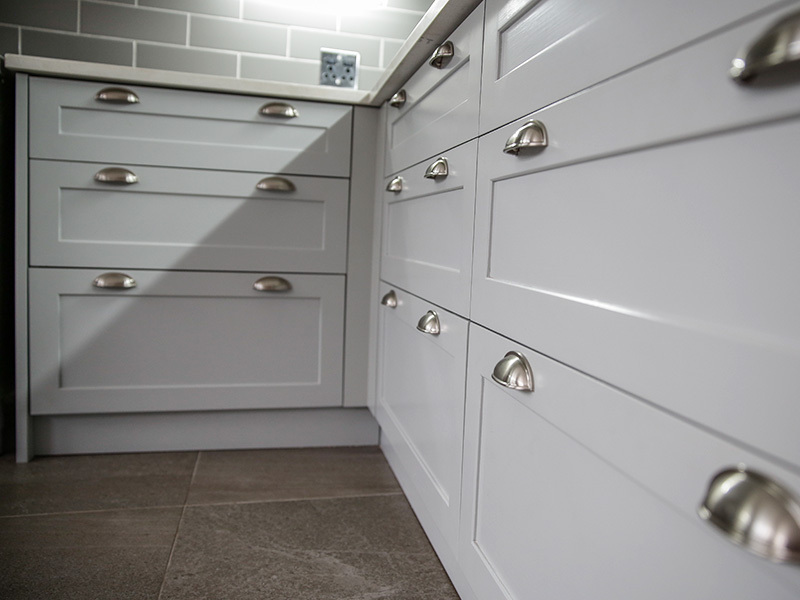 We provide a turn key joinery solution, which includes design, procurement and construction. 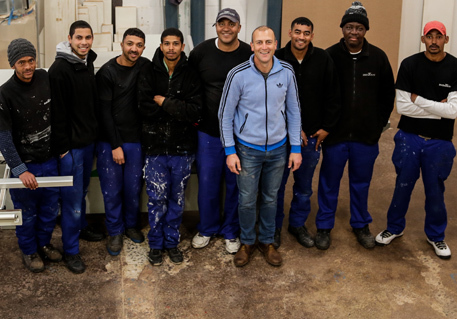 We take service seriously, and with fifteen years experience in managing production from design to installation, Indahouse have the expertise to ensure your project is of the highest quality. Indahouse works in all types of material from solid timber, veneer boards and MDF. Our flawless finishing of our products has been our trademark for years. We are as proficient in hand painted finish as we are in a high gloss duco finish. With our emphasis on quality, Indahouse staff is continually trained and supervised to ensure our end product meets the highest industry standard. 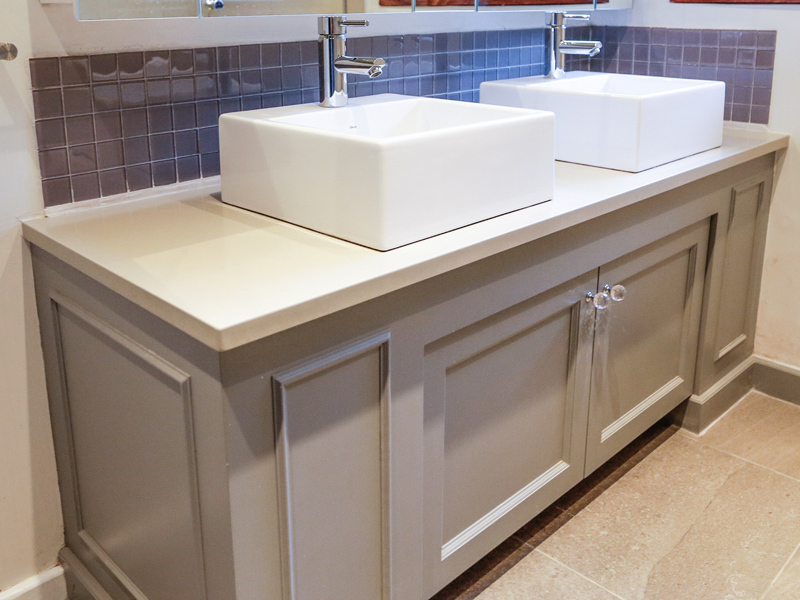 Double basin on Ceaserstone counter top with molded detail panels, shaker doors and crystal knobs. French 'provance style' kitchen Island and extractor hood view. 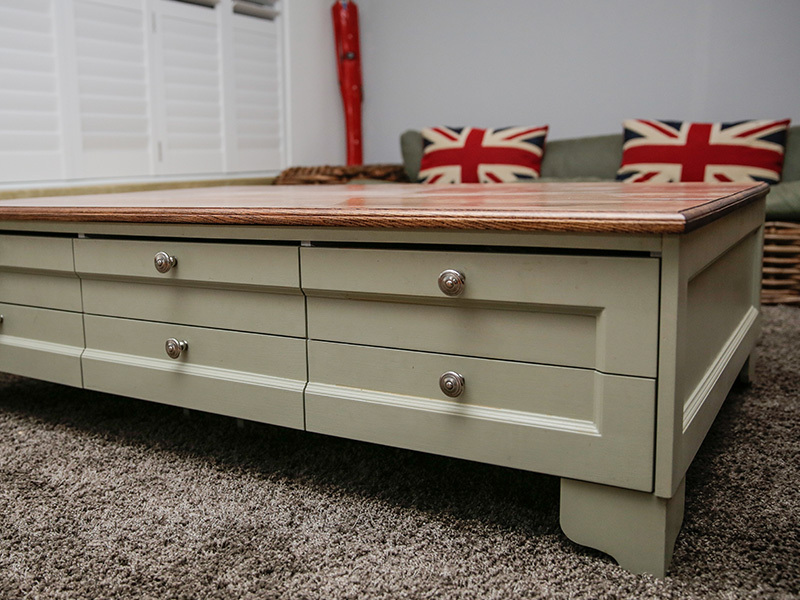 Coffee table with classic shaker style drawer panels in a handprinted finish. 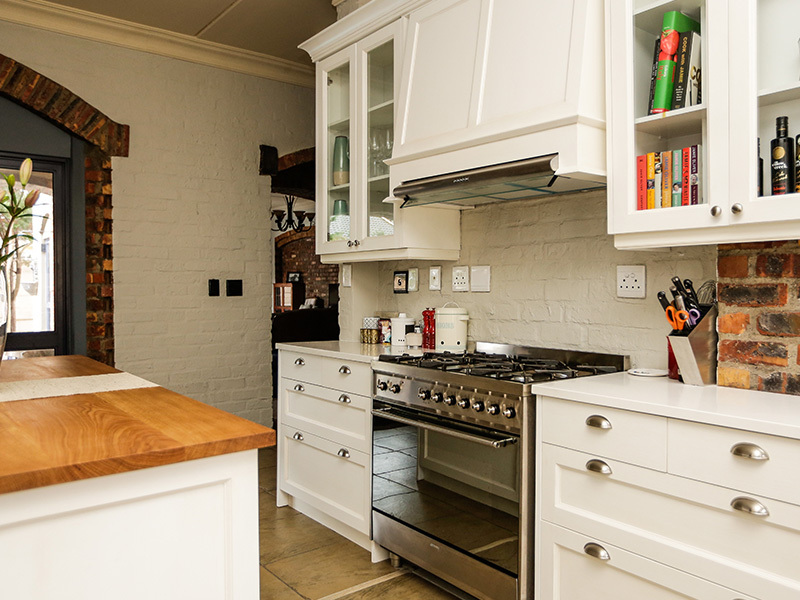 Classic kitchen showing light shields and "boxed in" fridge. 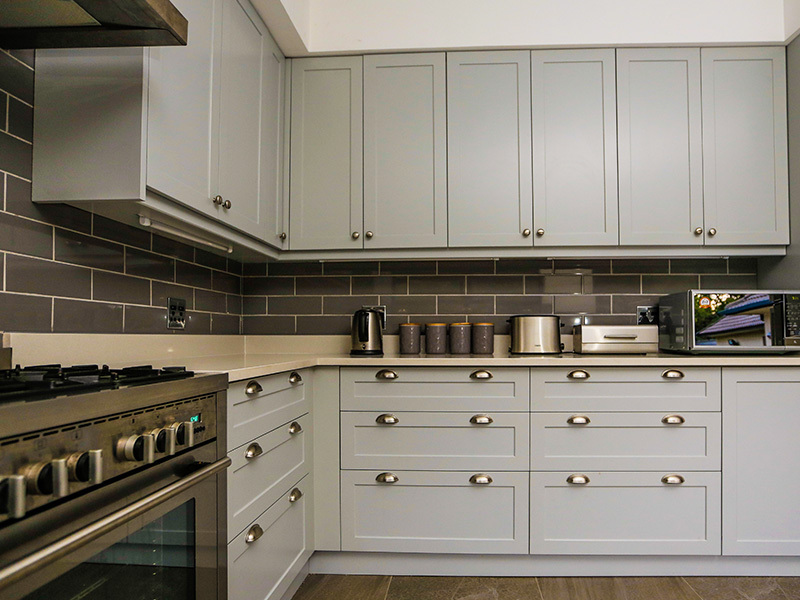 Classic kitchen with shaker panels drawers and brushed steel cup handles. 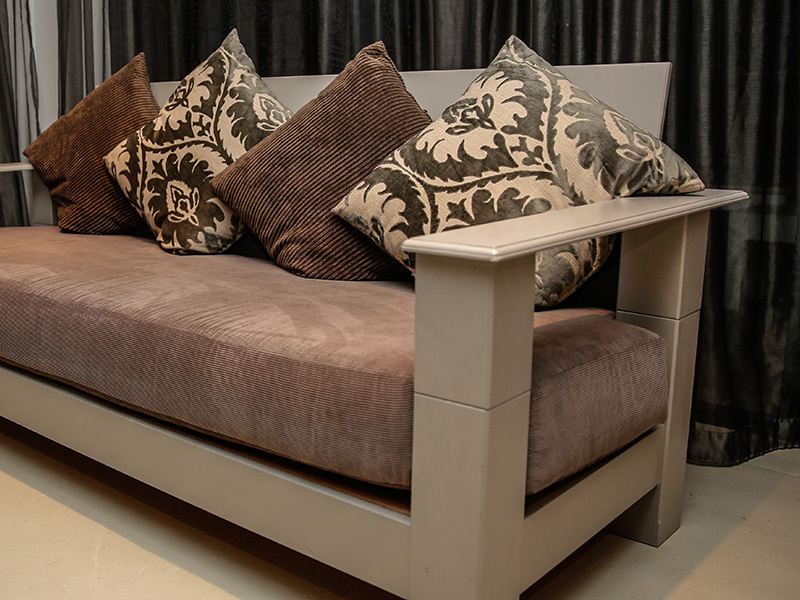 Day Bed with classic moulds and corduroy upholstered seating with skater cushions. 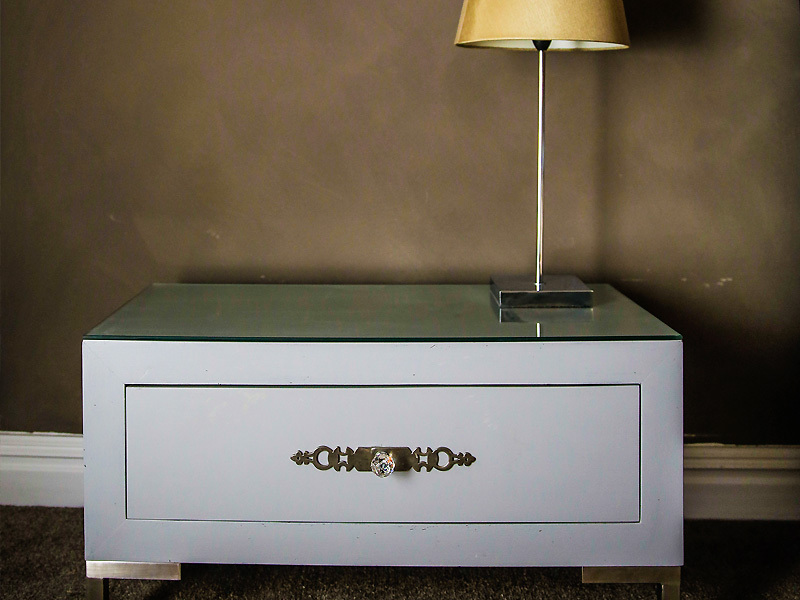 Contemporary bed side table with crystal knob and extrusion plate on stainless steel legs. 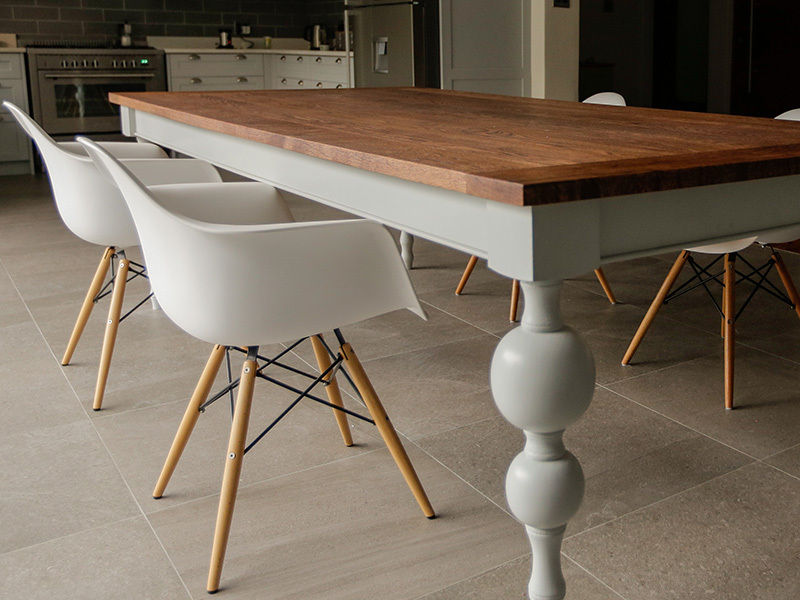 Modern classic turned leg dining room table with an aged solid Oak top. 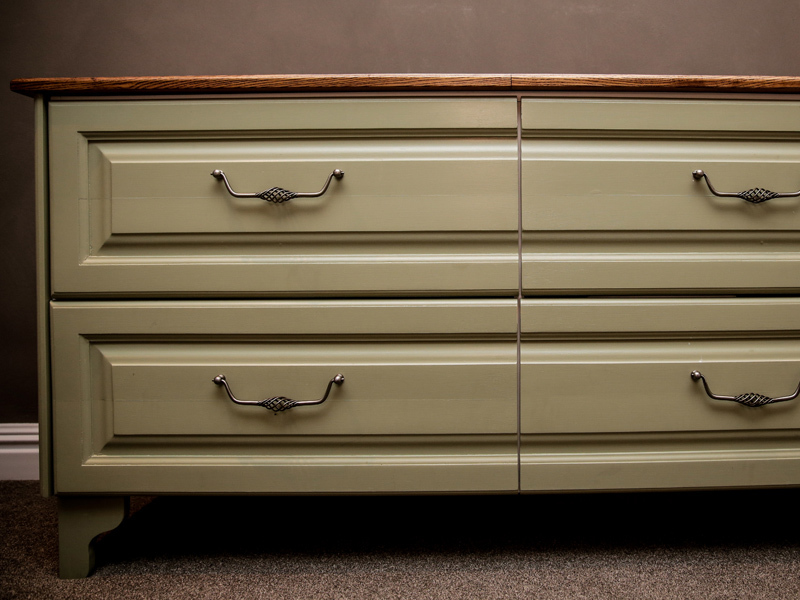 Dresser with 'raised and fielded' drawer panels with handprinted finish with solid Ash counter top and classic curved legs. Classic Kitchen with full view. 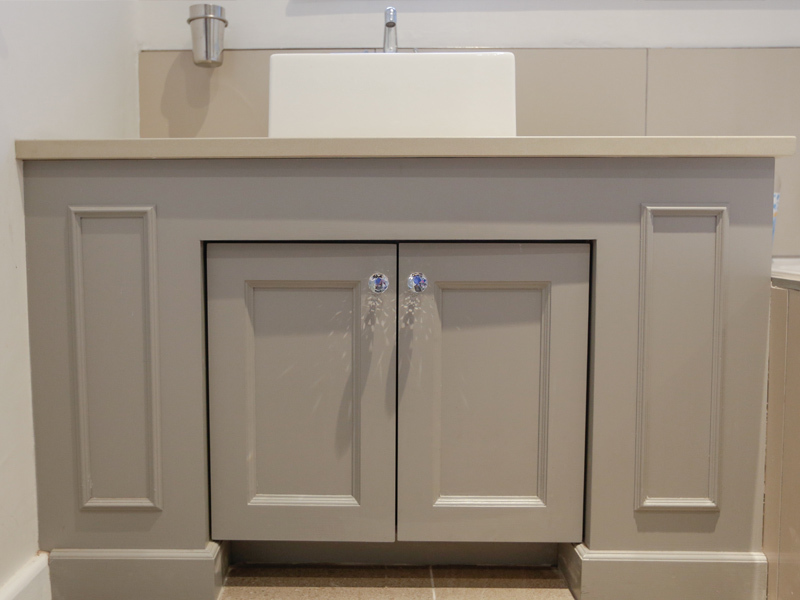 Single basin on Ceaserstone counter top with molded detail panels, shaker doors and crystal knobs. 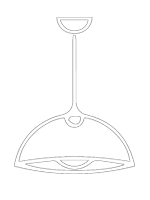 Indahouse was founded in 2001, creating kitchens, bathrooms and furniture that are original and of impeccable quality. 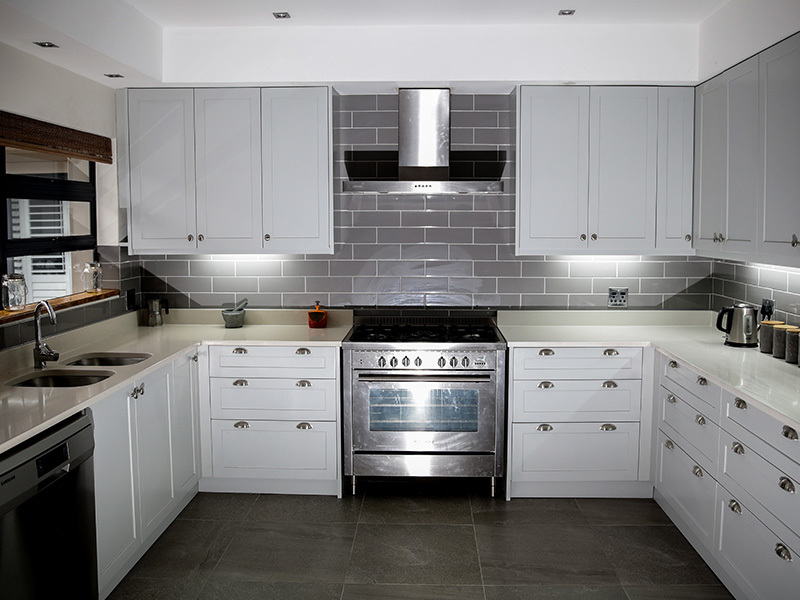 We are an established joinery concern that works hand in hand with interior designers, project managers and developers. With our emphasis on quality, Indahouse staff is continually trained and supervised to ensure our end products meets the highest industry standard. I have been dealing with Indahouse Joinery for a number of years. Marius has an outstanding knowledge of materials and construction and always helps to provides a solution most economical and best suited to the situation, without compromising quality. His finish and care are always exemplary. 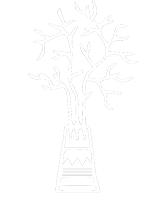 I look forward to working with Indahouse again and have no hesitation in recommending them. Copyright 2018 INDAHOUSE. All Rights Reserved.